For the previous couple of years this had been organised by Steve Woodhall of BASC’s Northern Region, and was intended to provide the ultimate wildfowling experience in one of the most beautiful places in Britain. We hoped to give the winning bidders a crack at the 14,000 or so wigeon that migrate to Lindisfarne from the Baltic in early September and the 7,500 Icelandic pinkfooted geese which begin ar-riving at the same time on their staging post to East Anglia. Every wildfowling expedition is dependent on wind and tide, and after much deliberation we decided to book the cottage for the end of the first week in October. The cottage is just inland from the Northumbrian coast in the village of Belford and Steve, with long-standing BASC volunteers Gordon Harrop and Conrad Potts, arrived early on the Sunday to stock it with wildfowling essentials, such as baked beans and whisky. John Hanson and John Lees, who had bought the lot between them, arrived in the evening. One of the many things I love about wildfowling is the social mix that it attracts. The pre-vious year’s guns were a commercial diver and the chief executive of a ships’ chandlers business, supplying cruise ships with everything from lavatory paper to the passengers’ food. Over supper in the Bluebell Inn, John Hanson ex-plained that he was a surgeon specialising in bowel surgery, while John Lees was the managing director of an inter-national bacon-slicing and -packing business. Both had done a bit of shooting but neither had ever been wildfowling. At five o’clock the following morning we left Belford to drive the short distance to the car park Beal Point, where the narrow causeway snakes across the mudflats to Holy Island. Here we met Kenny Ball, secretary of the Newcastle Wild-fowlers Association, and George Ashcroft, who used to be the wildfowling warden on Lindisfarne Natural Nature Reserve, provided by BASC to police Natural England’swildfowling permit scheme. 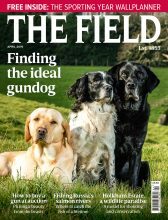 Natural England issues around 180 permits that cost £51 for the season, the income helping to fund habitat improvement and a percentage of the BASC wildfowl warden’s wages. The annual figure of wildfowl shot throughout the season amounts to between 700 and 1,000, most of them wigeon. Holders must record how many birds they shoot and which species; failure to complete the bag record by the due date results in an immediate ban. Once guns and sacks of decoys were sorted out, the party split. Steve, Gordon and Conrad went north of the causeway, while the two Johns, George, Kenny and myself set off south. Birds would start moving with the dawn and George set a brisk pace in the pitch dark along the track that runs between the merse opposite Holy Island and adjacent farmland. After a mile of hard going we stopped at a place where Kenny and George had seen geese crossing to graze stubble fields about a mile away. This was also considered a good spot for wigeon and teal when the tide started pushing birds towards us. We set the decoys, separated into two groups and John Hanson hunkered down with me in the rushes to wait. Weather conditions were not ideal. The night before had seen one of those sudden rises in temperature – Colonel Hawker’s ” damned butterfly weather” – which often blights October ‘fowling. There was not a breath of north-easterly wind needed to push birds up from the southern end of the reserve but, as always on a ‘fowling morning, there were magical compensations. 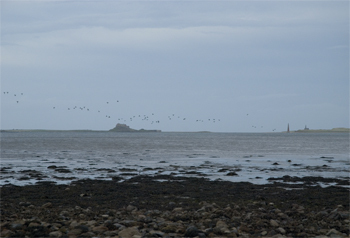 The great tidal dish created by Holy Island’s elongated shape and the curved elbow of mainland coast provides a protected habitat for the largest congregation of waders in Europe. When the island began to form a dim outline and lights twinkle in the village, every conceiv-able species of waterfowl – golden, ringed and grey plover, greenshank and redshank, oystercatcher, bartailed godwit, curlew and peewit – started their dawn chorus. As the tide crept in, they crowded along the water’s edge yapping, tittering, yodelling and whistling, while dunlins and knots performed synchronised aerobatics. With the sunrise, I was able to identify species for John. Pale-fronted brent geese and black-and-white eider duck flew along the merse edge; teal zipped by just out of range; and, in the distance, a ragged pack of wigeon, flighting down from the Tweed estuary, settled briefly before flying on south. At about 7.15 there was the thrilling clamour of a big pack of pinks lifting from their roost. We wriggled down in the reeds, hoping the high-pitched “wink-winking” would come towards us but the noise swung away and, once clear of the island’s backdrop, skein after skein could be seen flying out past Snook Point. We waited for another hour, more in hope than expectation, finally packing up around nine. Plodding back towards the causeway, George explained the problems caused by the cord grass, planted during the Thirties to protect coastal farmland from erosion. Since 1960, this vigorous, stemmy grass has colonised many of the zostera or eel-grass beds on which wigeon feed, particularly to the south of the causeway and in the sheltered bays around Fenham Flats. In recent years, Natural England, helped by a grant from BASC’s Wildlife Habitat Trust, has been successful in reclaiming lost feeding grounds using a tracked vehicle and RotoBurier. Over breakfast we discussed a plan for the afternoon tide. In view of the lack of easterly wind, Kenny and George, who ‘fowl regularly at Lindisfarne, believed our best chance of seeing birds was at the southern end of the reserve towards the edge of the shooting area permitted under Natural England restrictions. There is a five-hour ban on shooting from 10am, so just before three o’clock we were sorting our kit by the shore access at Fenham-le-Moor. We then split up. Steve, Gordon, Kenny and Conrad followed the path towards Tealhole Point while George and the rest of us trekked off across the merse, mud and watery gutters to Harvey’s Island. This wildfowling landmark is a tiny collection of seaweed-covered stones and a favourite spot for seeing wigeon moving up from the southern end of the reserve with a lifting tide. We tucked the decoys in among the stones and, as with all ‘fowling, made ourselves as comfortable and inconspicuous as possible to wait. As the tide crept towards us and the decoys began to float, every sort of waterfowl flew past on the edge of the water. Herds of ghostly, crescent-shaped curlews, endless trips of dunlin, flocks of moth-like lapwings and periodically, with a strange vibrating noise, small, densely packed gaggles of pale-fronted brents. Sometimes we heard the silly laugh of a shelduck and, once or twice, a mallard’s abrasive cackle, but the sun was well down before wigeon started to whistle, well out in the bay. George tried his best to call them in and we readied ourselves in anticipation, but they weren’t having any of it. It was practically dark when the island flooded, we gathered up the decoys and waded back to shore.  There is nothing contrived, predictable or artificial about ‘fowling and this, as much as the mystique of the marshes and habits of waterfowl, is what attracts people to the sport. To lie unobserved as nature wakes up and starts moving around you is the most wonderful experience. Every wildfowler knows that during the course of a season there will probably be only a handful of occasions when all the studying of tides, wind, weather and flight paths combines to produce a morning or afternoon to remember for the rest of one’s life. Over the three days at Lindisfarne, what little wind there was came from the west, the geese all poured out of the north end of the island and the wigeon stayed firmly outside the permitted shooting area. Between the eight of us, Steve was the only person who fired a shot and the bag was one teal. 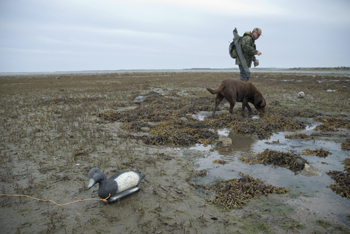 As host, I was concerned that despite their assurances to the contrary, the two Johns’ introduction to wildfowling might have been a disappointment – until a little bird told me that the marshes had cast a spell on them, too, and they had applied for permits this season.